Home » Beware the Auto-Save! It saves all your edits and you may not know it! It changes your original behind the scenes! Run away, run away! Content auto-save is a feature that automatically saves real time edits to Microsoft documents (Word, Excel, PowerPoint, etc.). Auto-save was introduced with Office Online, and impacts files stored in Office 365 applications, such as OneDrive and SharePoint. Now, regardless whether you utilize your locally-installed Office application or Office Online, auto-save is enabled when you open an Office document stored in O365. While auto-save brings the real time collaboration user experience using local Word to the same level as using Word Online, it does pose an issue. The problem comes in when a document is used as a template for a new document. Because of the auto-save feature, the original document is updated in near real time. 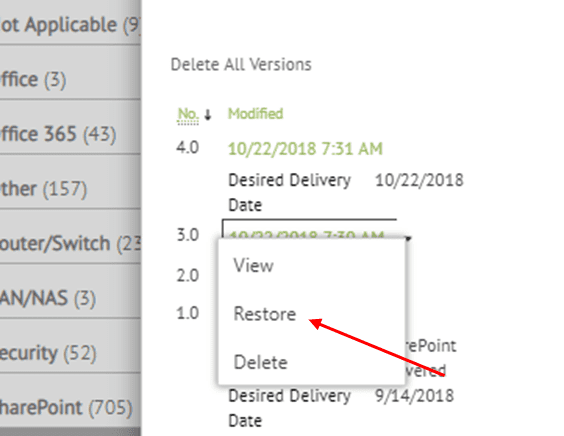 If the user then does the traditional “Save As” step and creates a new, separate document, the original document no longer displays the same content as it did when editing started. Disable auto-save at the start of the editing process. You can do this by clicking the auto-save slider and turning it off. Note: Auto-save is not turned on when editing an Office document you have stored on your local machine or network drive. To learn more about the Auto-Save feature, you can read more at: https://support.office.com/en-us/article/what-is-autosave-6d6bd723-ebfd-4e40-b5f6-ae6e8088f7a5 or contact us at info@peters.com. We are happy to help!